Lok Sabha Elections 2019 India: Elections will be held in seven phases, between April 11 and May 19, involving close to 90 crore voters. The results will be declared on May 23, ten days before the term of the current House expires. Lok Sabha Elections 2019 Highlights: Malegaon blast accused Sadhvi Pragya Singh Thakur joined the Bharatiya Janata Party on Wednesday after a meeting with senior BJP leaders Shivraj Singh Chouhan, Ramlal, and Prabhat Jha in Bhopal. “I have formally joined BJP, I will contest elections and will win also,” Thakur told ANI. In order to stop BJP we were ready for an alliance with Congress, but Congress is not in a mood for any coalition. It is a matter of sadness, that even after so many efforts, Congress is not ready for any kind of compromise, Aam Aadmi Party (AAP) leader Sanjay Singh said today. Madras High Court upholds the decision of Election Commission of India to cancel the election to Vellore Lok Sabha constituency, dismisses pleas moved by AIADMK Candidate AC Shanmugam and independent candidate K Sugumar. 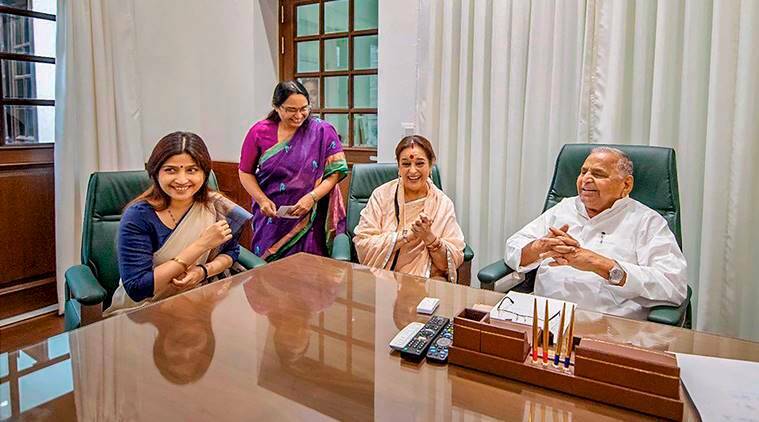 A week after actor-politician Shatrughan Sinha switched sides with Congress, his wife Poonam Sinha joined the Samajwadi Party Wednesday evening. Poonam Sinha will contest from Lucknow as the joint opposition candidate. Addressing a rally in Odisha's Dhenkanel, BJP president Amit Shah said democracy is in jeopardy in the state. "The state is facing 'Babu Raj' under BJD rule," he said. The Election Commission Flying Squad conducted checking at the residential premises of All India NR Congress Chief and former Chief Minister of Puducherry, N Rangaswamy in Puducherry, today. BJP released its list of four candidates for the Lok Sabha Elections2019 in Madhya Pradesh. Sadhvi Pragya Singh Thakur, who joined the party today, will contest from Bhopal against Congress' Digvijaya Singh. Addressing a rally in Gujarat's Himmatnagar, PM Modi said Gandhiji's Congress has become gaalibaaz today. Slamming the grand alliance, Modi said leaders of 'Mahamilavat' (Mahagathbandhan) are speaking such language which makes headlines in newspapers of Pakistan. Prime Minister Narendra Modi arrives in Himmatnagar of Sabarkantha district in North Gujarat to address an election rally. Sharad Pawar hit back at PM Modi for his comments on the NCP chief at a rally in Madha today. Pawar said, "Modi Ji says 'Pawar Sahab is a good man but has family issues. His nephews are out of his hands.' I wanted to ask him what does he have to do with issues at my home? But then I realised I've my wife, daughter; son-in-law, nephews visit us, but he has no one. How will he (PM Modi) know how to run a family? That's why he peeps in others' homes. I can say more also but I don't want to stoop to low-level." BJP spokesperson GVL Narasimha Rao addressing a press conference at the BJP headquarters demanded an apology from Congress President Rahul Gandhi and Rajasthan Chief Minister Ashok Gehlot for latter's remark on President Ram Nath Kovind appointment being a caste-based one. He also pleaded with the Election Commission to act against Congress and claimed that the Grand old party was anti-Dalit and anti-poor. Amit Shah in Sangli: "For 10 years, the UPA government was ruling the country. To ensure vote bank, they put the security of this country at threat. Terrorists used to enter the country and cut the heads of Jawans, but the government did not do anything. Among first world countries, there were only two countries which would retaliate for the attack on their soldiers— Israel and United States. A third country has joined this list, thanks to the Narendra Modi government." In a jibe directed at Congress President Rahul Gandhi, Amit Shah said, "Rahul baba remembers the poor today. When Sharad Pawar ruled here for so many years, Gandhi family ruled the country for nearly five generations. They did not do anything for the poor then." He further said, "Maharashtra's progress is due to the BJP government. During the Congress-NCP rule, the state was lagging behind. The BJP-Shiv Sena combine has worked together to revive the state's pride." Addressing his rally in Maharashtra's Sangli district, BJP president Amit Shah said that he had toured the entire country — East, West, North and South and he could hear Modi-Modi everywhere. It is the public's resolve to bring Modi to power once again, he added. After meeting with senior BJP leaders in Bhopal party office, Sadhvi Pragya Singh Thakur announces that she has formally joined the Saffron party. Rahul Gandhi in Wayanad: I am not here to tell you my 'Mann ki baat', I'm here to understand what is inside your minds and soul. I want to make you feel that I'm your brother, son and one of you. But I also want you to realise and understand that your way of life, your culture is a very valuable thing for India. I want to give this message to the rest of the world that there is a place called Wayanad where everyone lives happily. I'll stand with you as long as I am here! Kerala Congress President Oomen Chandy greeted party president Rahul Gandhi. Taking a dig at Narendra Modi, Rahul Gandhi said that the Prime Minister had everything revolving around 'one party, one person'. "Keralites are an example of peaceful co-existence. I don't say this lightly, there is a lot that rest of the country can learn from Kerala and Wayanad. You respect the ideas of others as much you repect the ideas of your own. You are polite and respectful and do not believe in violence and crushing others' ideologies and that is why I stand here speaking to you," Rahul Gandhi in his address in Wayanad. Slamming former agriculture minister Sharad Pawar, PM Modi said, "Sharad Pawarji, who was the agriculture minister in the government, could have brought new and welfare schemes of farmers. But they were interested in running their own sugar shops; they had no concern for the farmers." Addressing farmer issues especially due to the drought conditions in the state, Modi promised a new water-scheme which will ensure adequate water supply for farming and irrigation purposes. PM Modi in Madha: "They (Congress) ruled for the last 60 years, but they have not said anything. They do not speak on what they plan to do for the next five years. Everywhere, they only have one thing to say- 'Modi Hatao'. These naamdaars first said, 'Chowkidar Chor hai' but when that trick did not work, now they term the entire 'Chowkidar' community as thieves." Addressing a rally in Madha city in Maharashtra, Prime Minister Modi targetting the Opposition questioned the public if they wished for a strong (majboot) government or a helpless (majboor) government? He also took up the topic of Balakot airstrike and said that India had given the right kind of reply to Pakistan to terrorism. PM Modi starts his address by expressing condolences for the families which suffered losses due to the unseasonal rains in Gujarat, Rajasthan and Madhya Pradesh. He said that he had asked authorities to continue closely monitoring the situation in these areas and that he had offered help in every way possible to everyone. 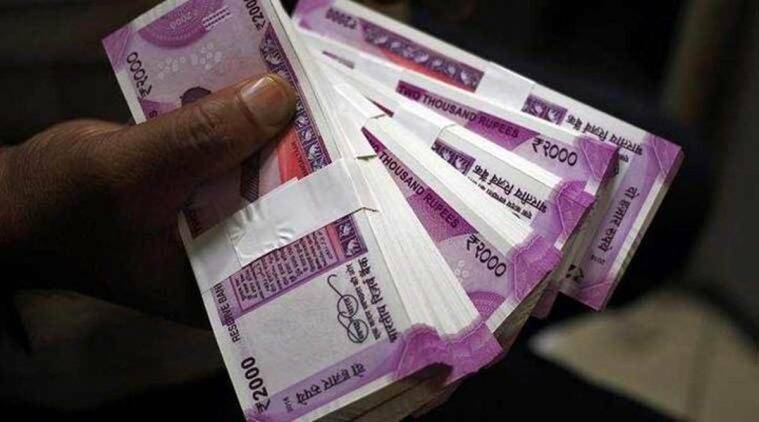 Lok Sabha Elections 2019 LIVE updates: On a recommendation from the Election Commission, elections in the state's Vellore Lok Sabha constituency stands cancelled over abuse of money power, whereas polling in East Tripura has been deferred to April 23. Speaking to reporters in a late-night briefing, CEO Taranikanti said the Election Commission has deferred polling at East Tripura constituency in the second phase of Lok Sabha elections on security grounds. The voting will now be held on April 23, and the state electoral authority has been instructed to ensure proper security conditions to build confidence among the voters.